MOBILE, Alabama – Alabama Gov. Robert Bentley will bring his “Road to Economic Recovery Tour” to Mobile Friday with a series of stops throughout the county. In addition to several public appearances in and around the Port City, Friday’s events will also include a small business roundtable discussion with the Mobile Area Chamber of Commerce and will conclude with Bentley’s attendance at the Boy Scouts Golden Eagle Dinner. The tour is designed to encourage conversations regarding local economic conditions and state-level efforts to attract more jobs to Alabama. The stops will give local residents and business owners the opportunity to discuss these things with Bentley directly. 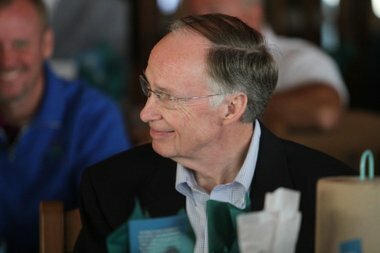 Bentley is seeking re-election to a second term as governor. 4 p.m.: Government Plaza, 205 Government St.
7 p.m.: Boy Scouts Golden Eagle Dinner, Arthur R. Outlaw Mobile Convention Center, 1 S. Water St. Recent stops along the tour have included Muscle Shoals and Huntsville.